Those of you on Facebook (ye legends) will have seen our earlier post about this and now Tickets There can confirm (almost) all the details. Yes, legendary thrash metal band, KREATOR, are coming to Dublin. DME have just unleashed the details and if you’re lucky enough to get a ticket, you’ll be seeing the guys on December 20th (SATURDAY NIGHT!) in The Academy. Kreator are a regular fixture these days on the gig going calendar – which is pretty savage considering they’re amazing. With them will be Arch Enemy who are accompanying them for their full European tour and there’s still some special guests TBA. Door and Ticket details also still TBA. Keep checking back – every three seconds. 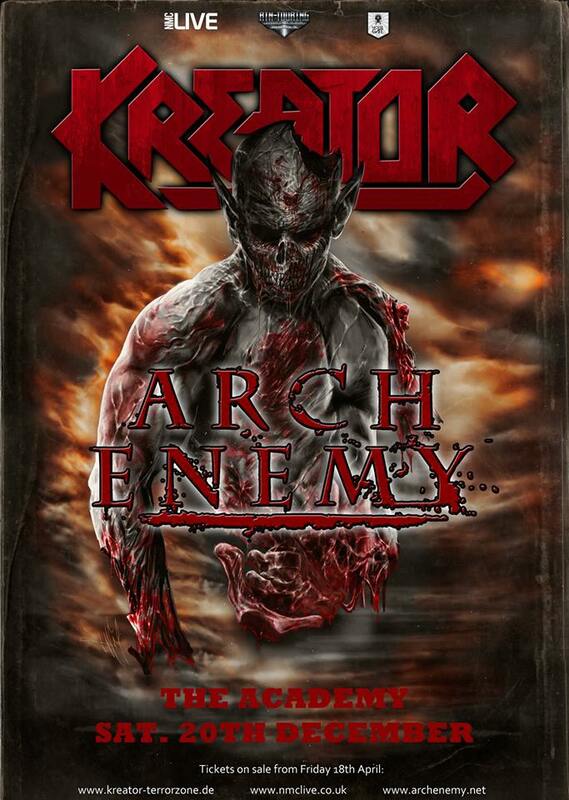 This entry was posted on April 15, 2014 at 1:42 pm and is filed under Gig Listing, Music with tags 2014, Arch Enemy, Dublin, Kreator, The Academy. You can follow any responses to this entry through the RSS 2.0 feed. You can leave a response, or trackback from your own site.